In October 2006 Chad and I embarked on a month long road trip across the US. Starting in San Francisco we made our way through the national parks of the American Southwest, headed north through majestic Rocky Mountains into the desolate planes of Wyoming. Crossing the cities and small towns of the Midwest, we landed in Washington DC, our farthest destination east, before making our way home to California along Historic Route 66. 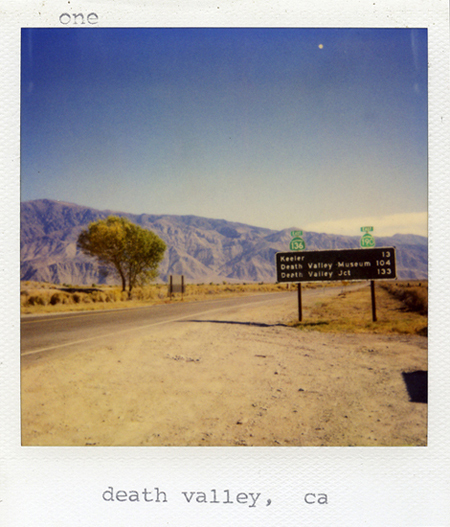 From natural wonders to man made oddities to pit stops in the middle of nowhere this collection of Polaroids presents the essence of what we saw while on the road in our vast and wondrous nation.